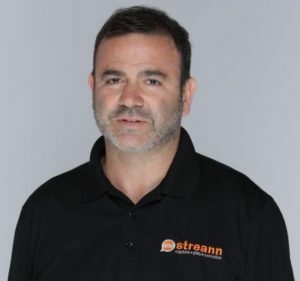 Gio Punzo, CEO of Streann – an innovative digital media platform – unveiled three new monetizing and gamifying solutions at the NAB Show in Las Vegas on April 8, 2019, where he was a panelist. He also promoted Streann’s creative outlook by providing content creators with solutions for distribution, engagement, and monetization. This year, all seminars at the conference were livestreamed using Streann technology. As panelist, Punzo talked about how media and content providers can conquer advanced advertising. He highlighted Inside-AD, a patent-pending tool that can multiply digital ads revenue ten times and has 100% real impressions. Punzo also introduced three brand new monetizing and gamifying solutions, all within Streann’s all-in-one interactive platform which include: Inside-Games – a product that capitalizes on the trending HQ Trivia app and lets content creators create a similar engine to hook their audience; Inside-Polls allows content providers construct real-time polls for their audience, which drives engagement within one’s ecosystem without losing traffic by taking an outsider on board; Inside-AR approximates the Pokémon effect. It creates an interactive network with user’s gadget and the provider. End users can interact with the content in real life, for example through promotion codes.